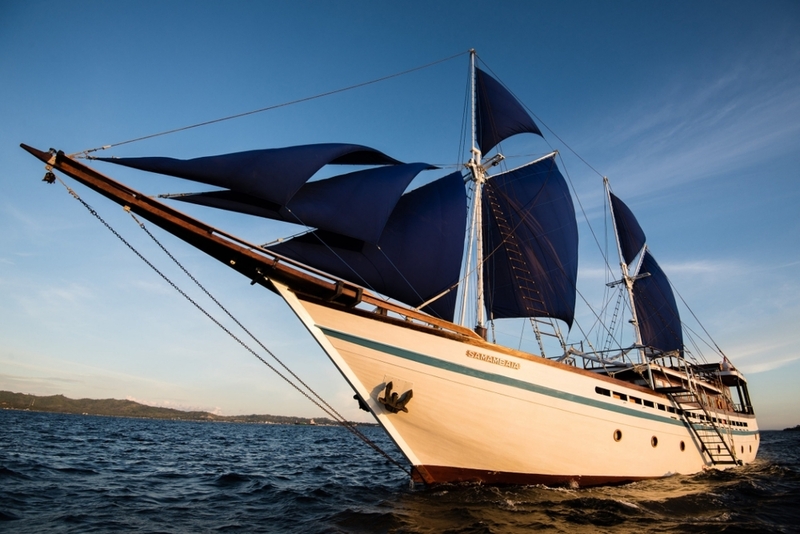 Samambaia is a newly built phinisi-style yacht that launched in 2016. This contemporary yacht is focused on adventure holidays and is fitted with all the features of a modern diving boat. 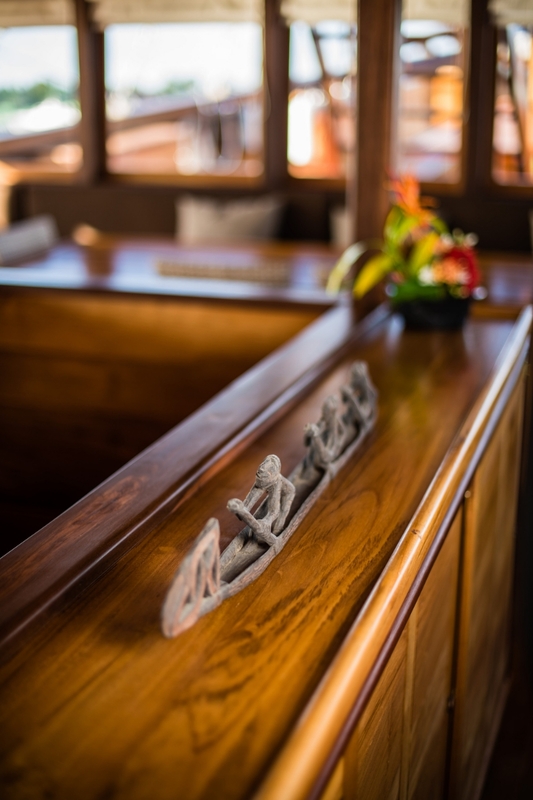 Only the finest tropical hard woods were used to craft this yacht, built by traditional shipwrights with an eye for detail and an artistic finish. 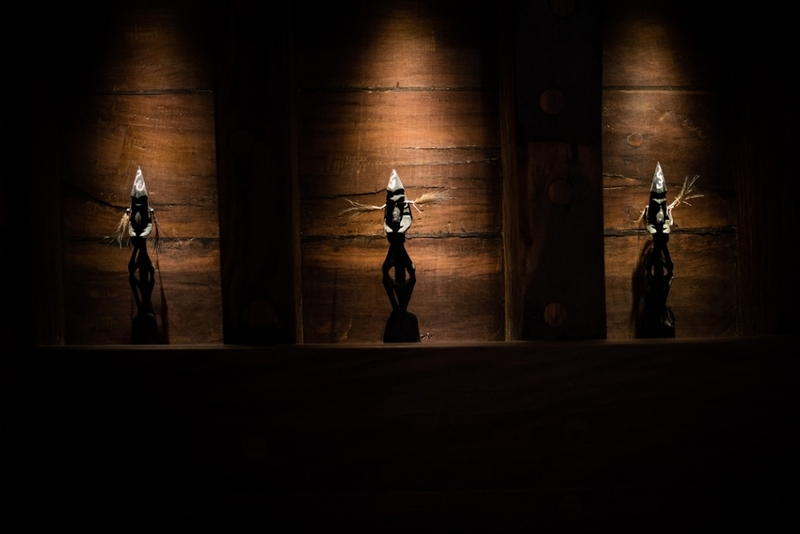 Combining functionality with aesthetic detail and quality materials, Samambaia offers a relaxed atmosphere and plenty of space for large groups of up to 14 guests. 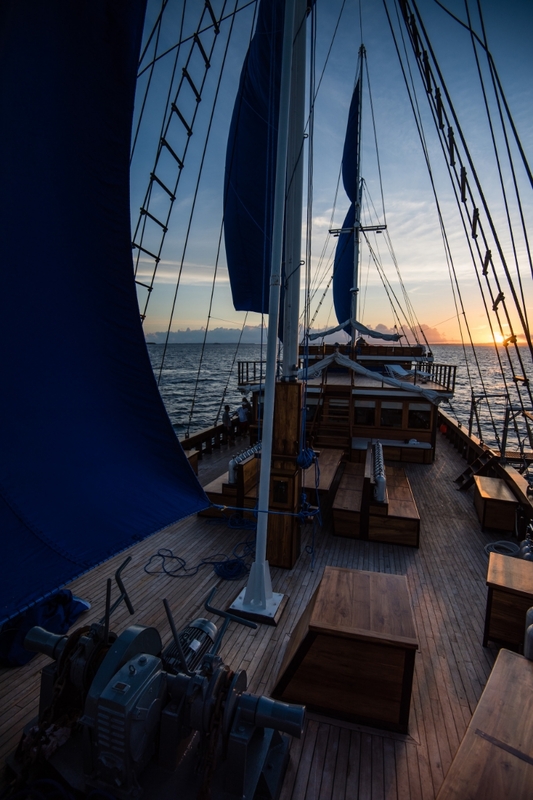 Samambaia sails throughout the Indonesian archipelago, from Komodo National Park to the remote and fascinating Alor archipelago in the summer months, to the original Spice Islands in the Banda Sea and the tropical waters of Raja Ampat during the winter season. 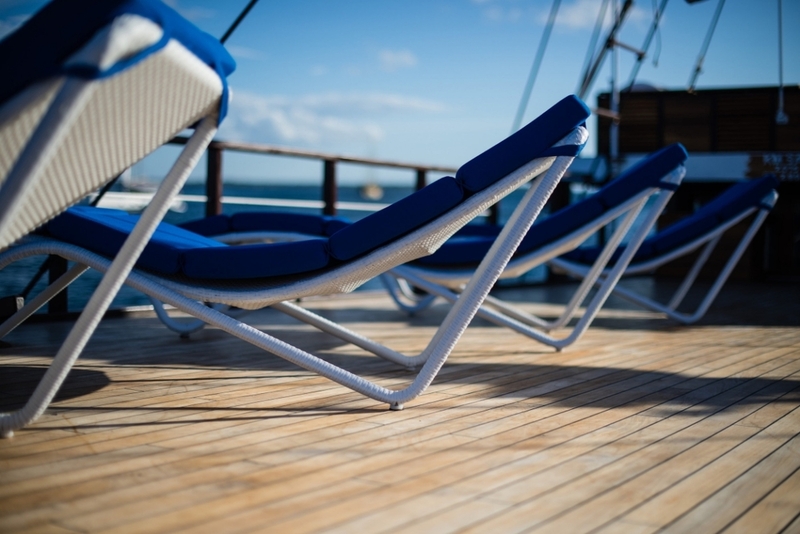 A highly experienced crew of 18 includes a cruise director, private chef and dive masters, as well as a spa therapist on request. 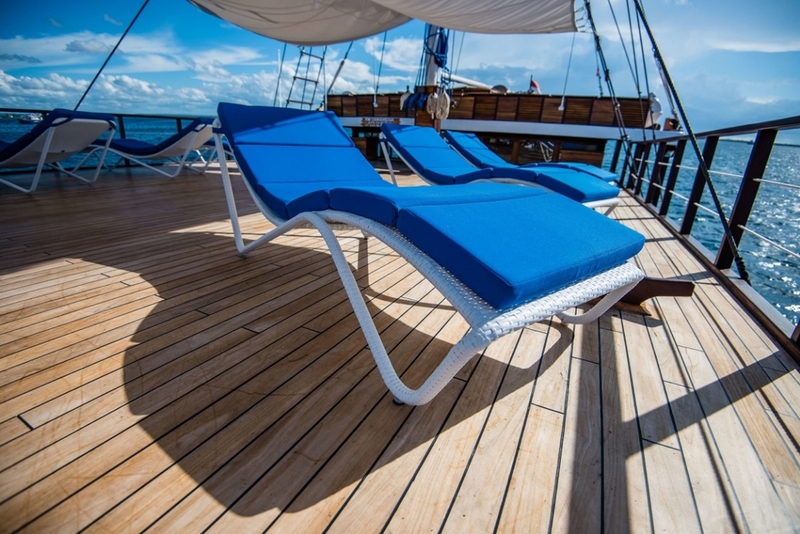 Samambaia accommodates up to 14 guests in 1 master suite above deck, 4 double cabins and 2 twin cabins below deck. 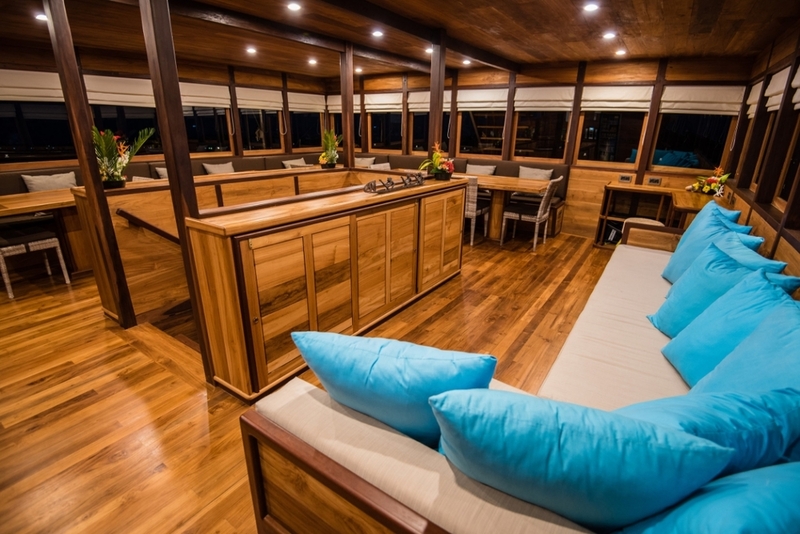 The master cabin, located on the aft deck, has large windows – coated for privacy - offering a 180-degree view of the surrounding islands. A special coating on the glass ensures privacy. 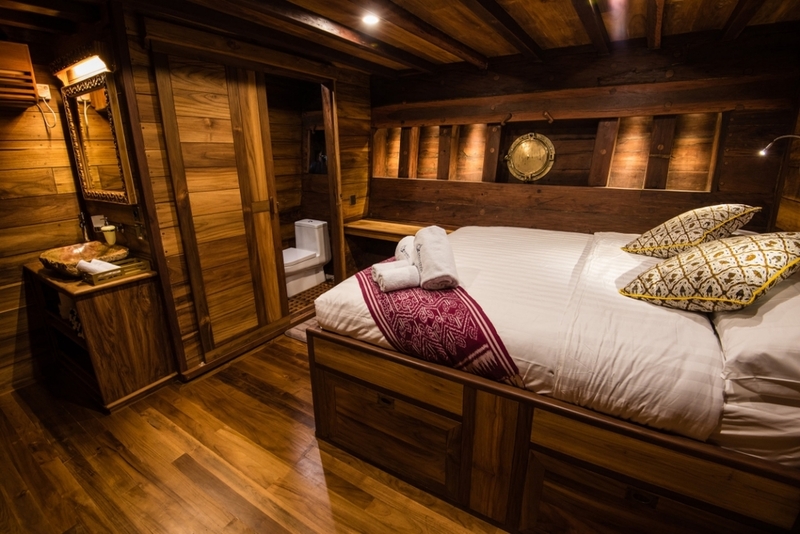 The remaining 6 cabins below deck are fully air-conditioned and feature two portholes for natural light, as well as ample storage space and private ensuite bathrooms. Inside, there is a spacious air-conditioned dining area leading to a lounge and workstation with space for photography and videography equipment. 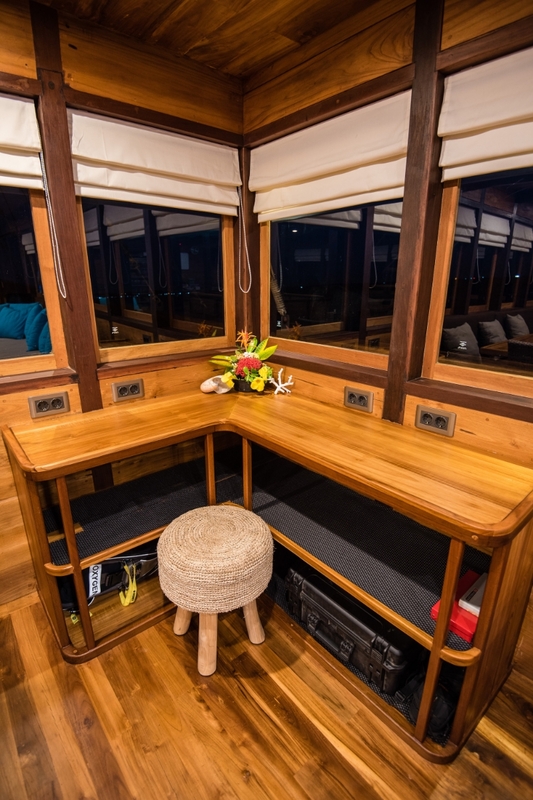 The dedicated divedeck offers 14 individual spaces to prepare for diving and store the gear, as well as two large rinse tanks with separate camera compartments, two hot water showers and a large camera working bench. 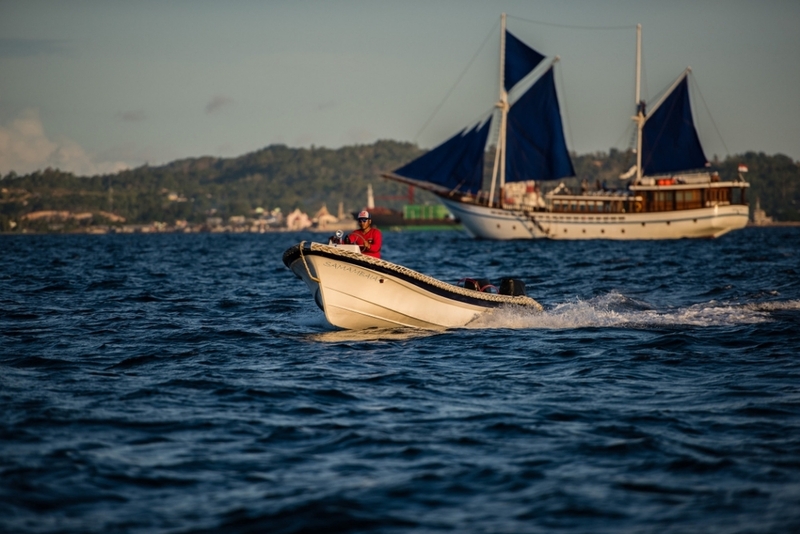 With a maximum of 5 divers per guide, Samambaia is well equipped for dive holidays and can offer up to 4 dives per day, including night dives. 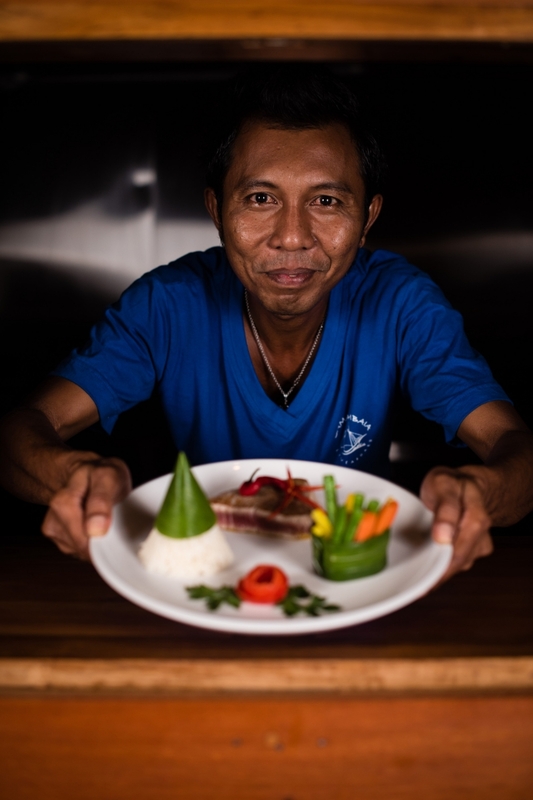 Samambaia’s private chef serves international cuisine with a focus on fresh local ingredients. 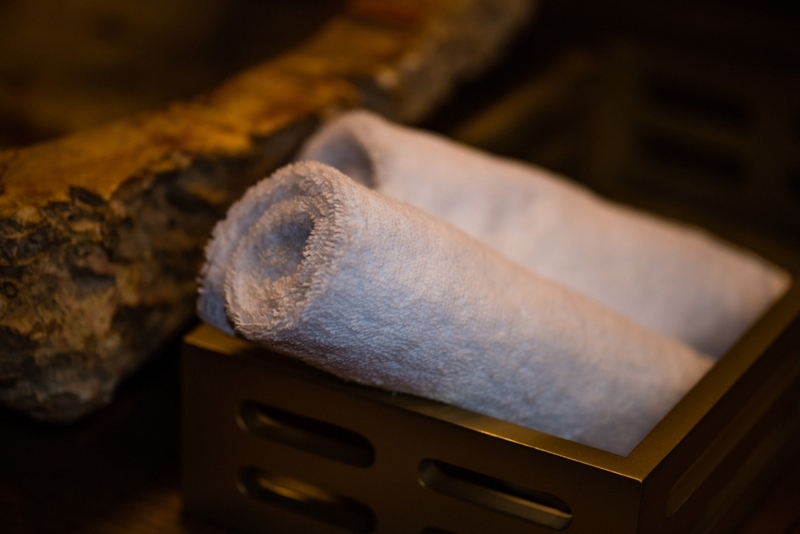 Fresh bread and pastries are prepared daily and fish and seafood is carefully chosen from sustainable sources only. A selection of wines rounds up the culinary experience. 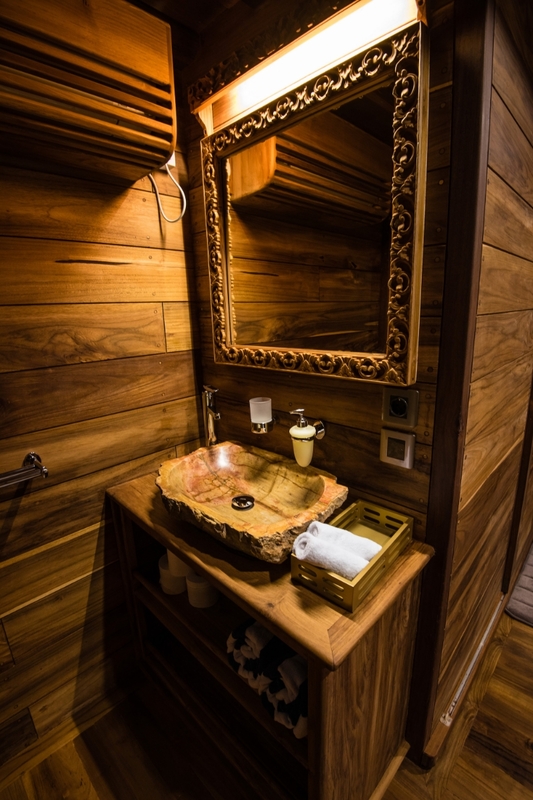 Onboard facilities include air-conditioning, snorkelling and diving equipment (with nitrox), waterskis, a wakeboard. Samambaia was built in 2015 and spans 40m with a beam of 9m. 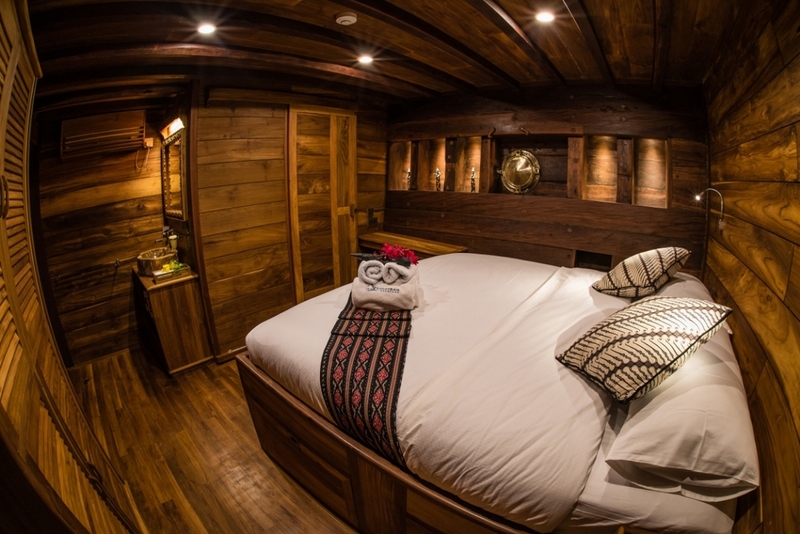 7 cabins including a master, 4 doubles and 2 twin cabins accommodates up to 14 guests. She cruises at a maximum speed of 12 knots.